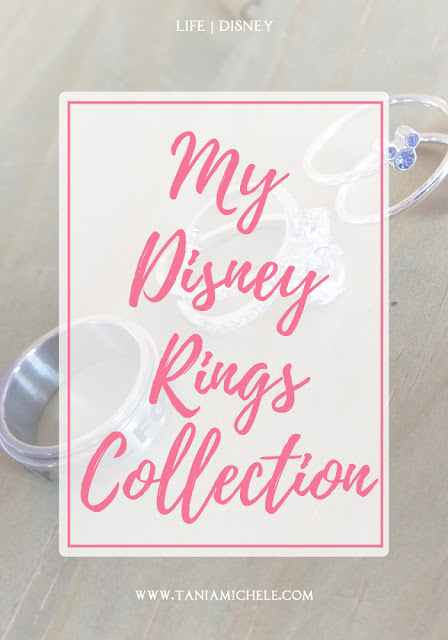 When I went to Disney World last year, I bought way too many goodies, but one thing I picked up a few of, were rings. 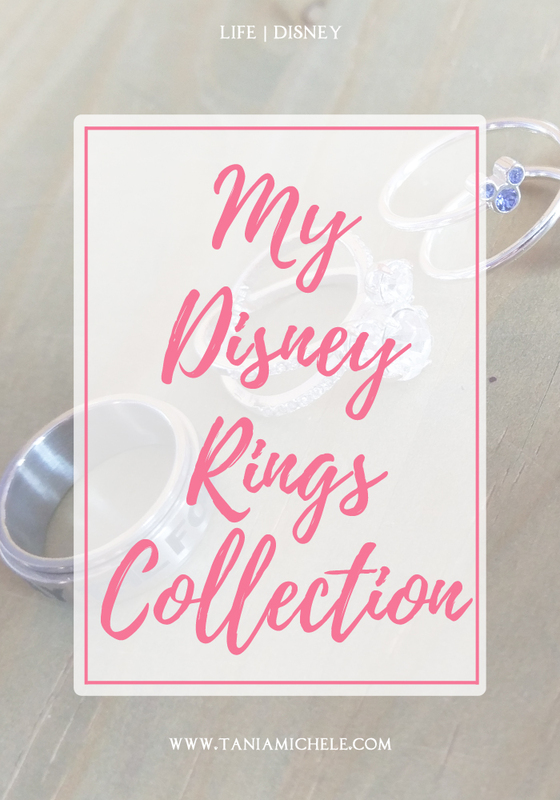 I love rings - they're one of my fave jewellery items, and what better way to show off some Disney love? 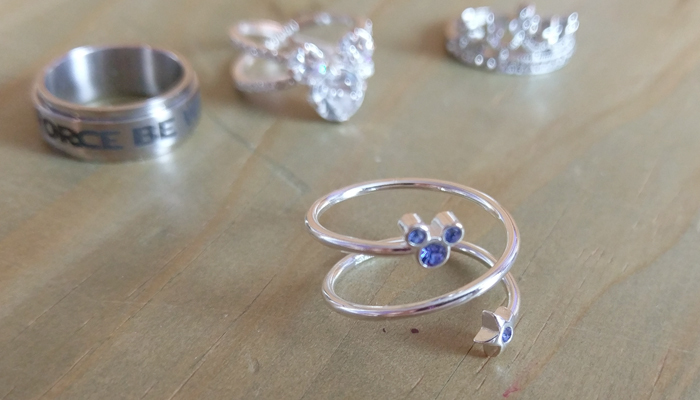 They're all simple silver ones, that all have some Disney reference. Even the Star Wars one, which Disney now own! These are the four I picked up during my holiday. 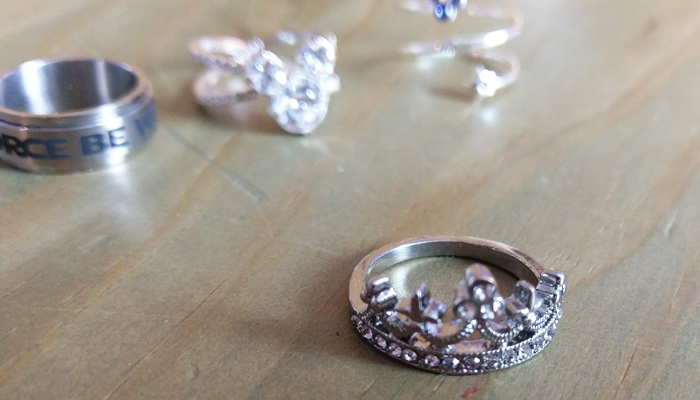 My fave is the fake diamond Mickey Mouse ring. It's pretty huge, and sooo sparkly! My sister has the same one, but the smaller version. 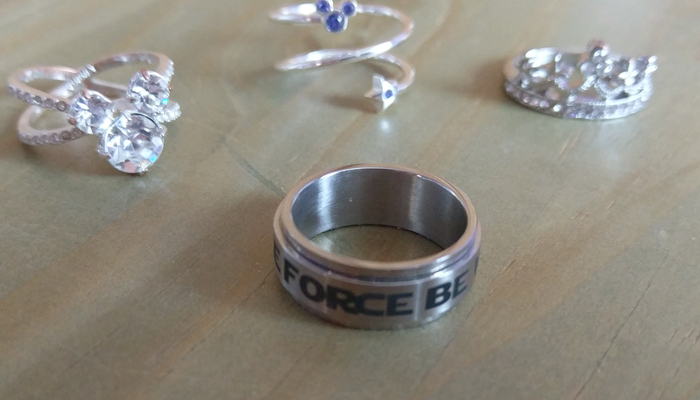 Plus, the Star Wars ring rotates, so you can spin the quote around. I wear it as a thumb ring - which has been a blessing in an anxiety attack. 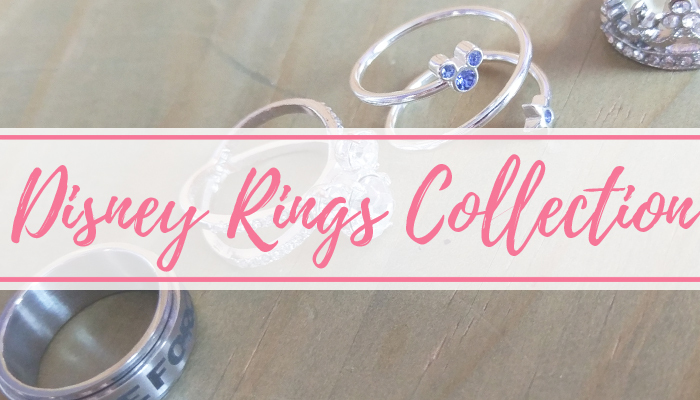 Honestly, I could have spend all my savings buying the variety of the rings they had on offer. 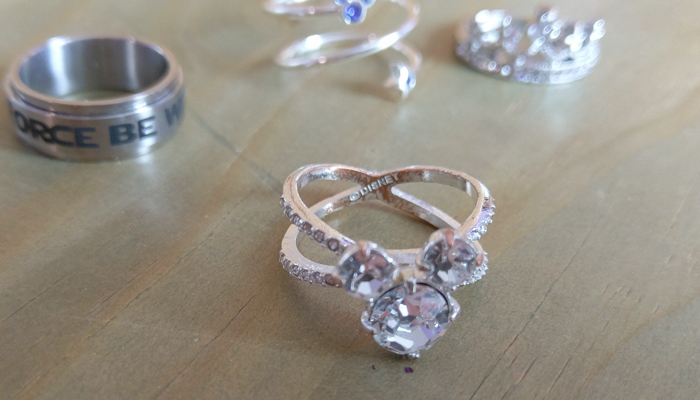 I love the birthstone ring, it's so pretty. 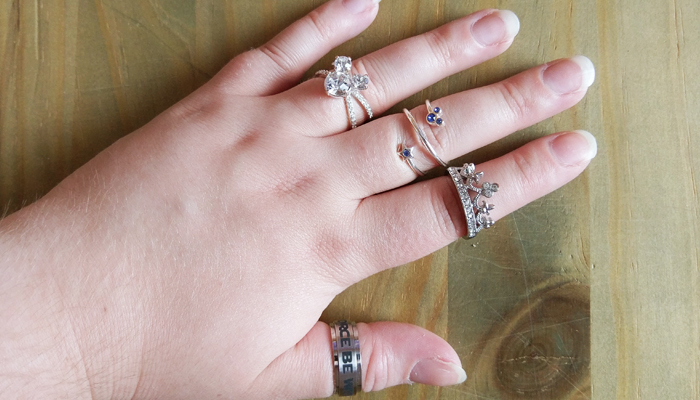 I really need to get into the habit of wearing rings again! 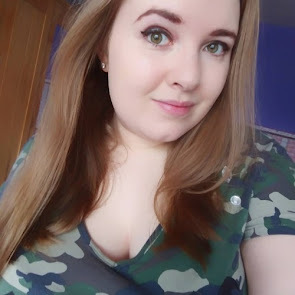 Orlando Holiday Diaries Round Up!